Home to a diverse group of General Motor vehicles, from vintage muscle to the modern Camaro, Carlisle is the place to be in June. Buckle up for the Carlisle Chevrolet Nationals as there are many activities going on. Unique and rare vehicles are always part of the show schedule, there are automotive thrills too and you can even find yourself sitting behind the wheel of a top-fuel dragster as it goes through its warm-up process. Smell and FEEL the power first-hand at Carlisle. New in 2019, Hurst Nationals powered by Carlisle Events, becomes part of Chevrolet Nationals weekend. The Hurst show features a 15 to 20 car display, memorabilia, seminars, and Hurst-related celebrity guests and engineers. Beyond cars, the Carlisle Fairgrounds is known for its delicious food vendors. They offer great fair-style food such as pizza, hot dogs, funnel cakes, ice cream, BBQ, crab cakes, kettle corn and much more. The fairgrounds will be packed and offer an automotive flea market with a wide variety of vendors, a car corral and more. Daily admission Friday and Saturday is $10. Children under 12 are free. Include these other auto attractions in your visit to Cumberland Valley. Combine all these nearby things to do and more by following our 5-day Motorin&apos; trip idea. 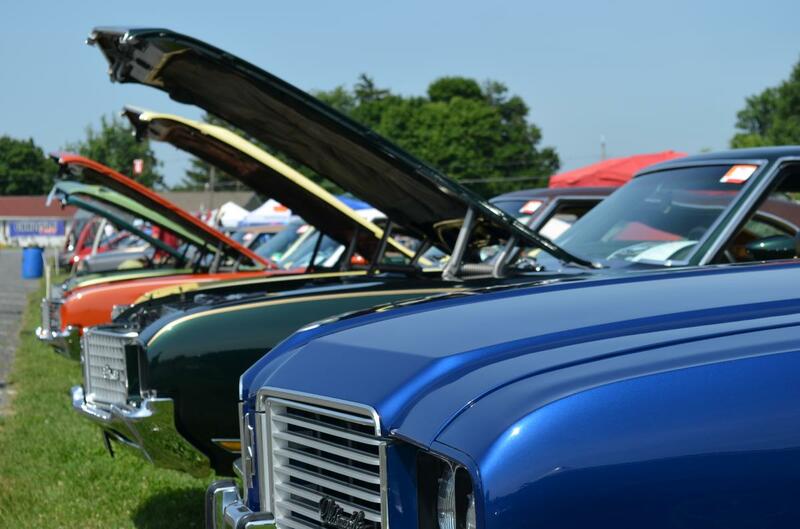 With all these great things to see and do at Chevrolet Nationals and the surrounding Cumberland Valley, you&apos;ll want to stay the whole weekend. Compare rates, find car-friendly amenities and book online at the Official Lodging for Carlisle Events.